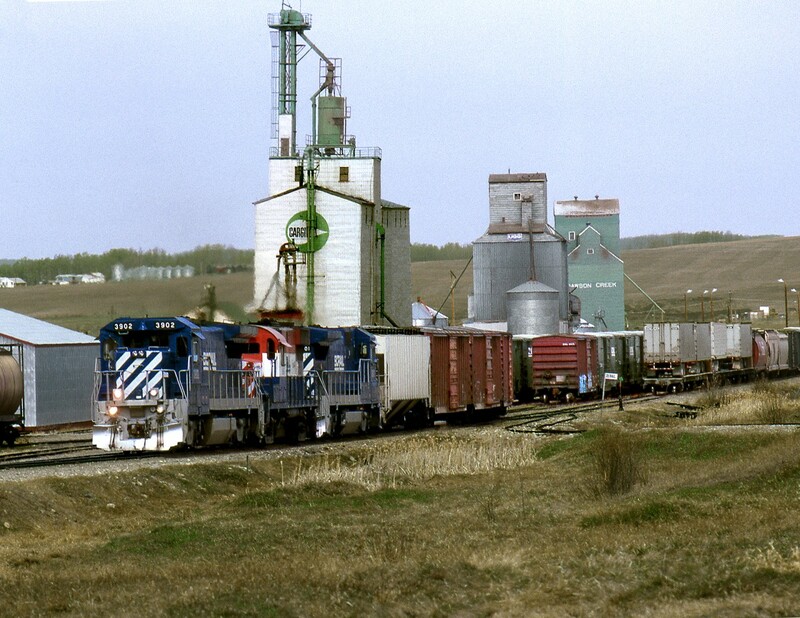 Railpictures.ca - Bil Hooper Photo: Tri-Weekly wayfreight from Chetwynd switches industries at BCOL’s Dawson Creek yard, west of Downtown | Railpictures.ca – Canadian Railway Photography – photographie ferroviaire Canadienne. Now THAT is delightfully different. Great shot.